Yup, that's right, it's YOU! This is going to be one of those really personal posts. It may or may not have anything to do with art but indirectly, it will. There may be a sprinkling of frustration with a dash of cynicism. Just going to free write and hoping to edit as little as possible. I’m sure there’s a light at the end of the tunnel, even if it’s a Trompe-l’oeil painted light. I’ll take anything to keep my spirits and motivation going this year! People have asked what I studied in school or what I’m studying* when I tell them I have an art writing blog. As encouraging and delighted as people get, it’s becoming more and more apparent that I can no longer be a patron of the arts. Sure, I went to art school for a couple of years (a few years after graduating from college and working steadily) and found out it wasn’t the environment for me. I needed more and I wasn’t getting what I needed – critical dialogue and a way to frame my thoughts around art theory and history. I tried to do graphic design and illustration to be ‘practical’ about the arts. None of my logic around studying those disciplines worked. At the moment, I’m about half way done with my post baccalaureate certificate from the UC Berkeley Extension but I’m afraid that hankering for grad school (specifically, environments where I can study Visual Criticism, American Studies (emphasis on Art), Critical Theory and the Arts, etcetera, etcetera, etcetera) will persist. Essentially, navigating around where I’ve been, where I’m at, and where I’m going has proven to be quite the task. A friend put it best the other day, I’m reaching a crossroads and trying to figure out the best way to be engaged with the things I do while pursuing my passions. Tough, real tough. 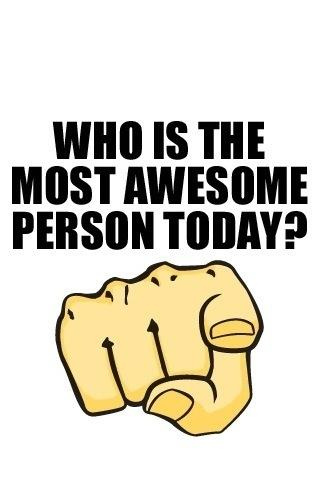 Yup, I have no choice but to continue telling myself I’m awesome. A good friend told me once, “You’ve got to be your own #1 fan. At least, you’ve got one”. Yet, the way goals and ambitions are looking, I’m gonna need more than just myself. * For the record, I double majored in Philosophy and Psychology. Yes, I know, my Mom should have just sent me to art school (just like I begged asked her to). Posted in Art Writing and Criticism, Visual Arts and tagged as advanced degrees, art degrees, art school, graduate school, motivation, postaday2011, studying the arts. Hmmmm….. The words I am reading here seem to be written by someone that is pretty involved with what she is passionate about. Having many paths to choose from isn’t always a bad thing (in my opinion) because you get to have a glimpse into what might be… or what could be. It is not always for one to know how one will feel about some particular experience or particular thing latter on in the future, but it can be tough sometimes when one does reach a plateau and does take a look back at something that was once desired but never obtained. However, knowing what one knows and doing what one does is important to reinforce one’s view of one’s self. Your friend’s message is a good one, for sure. In my experience, the corporate world isn’t always the greatest world, and with your Buddhist experience you might have already figured that out. I feel that being true to one’s self reigns supreme over all other aspects or qualities. Selfish? Not if you consider that when you are you and no one else can be you, then you are better positioned to give back and help the others that you are compassionate about. Passion gives birth to compassion, and I believe that the corporate world’s brand of passion seldom breeds anything other than hard-currency. Unless of course there’s that compassion for paying customers, lol. I hope my message doesn’t seem dictating or whatever, because I’m just, in a sense, free-writing my feelings from your free-written post. Do take care. Thanks so much, das! I know I’m exactly where I need to be. Thanks again for reminding me that I’m not being selfish going after my dreams. Hoping all is well with you. Awwww, Tim! You know I’m definitely one of YOUR biggest fans. So happy about your show in NYC. I know YOU will make a lot of new connections!